It's that time of year! The time of year when we get together to celebrate family, friends, and hope for the future. It's the New Year! Ringing in the New Year with champagne has become a tradition, and a New Year's celebration without it (even in non-alcoholic form) seems almost sacrilegious. When it comes to choosing a champagne, the quality, and the pricing, can range wildly. Sometimes finding a great champagne has more to do with luck than anything else, and an expensive bottle does not always mean the best champagne. That hasn't stopped champagne producers from introducing ever more expensive champagnes, however. Each year, another brand of champagne ascends the throne of "Most Expensive Champagne in the World", and this year, the most expensive bottle costs as much as some mansions in southern California. In order to understand why champagne can command such exorbitant prices, you must first look at how it became associated with important celebrations. Champagne is a sparkling wine that is made from grapes from the Champagne region of France. Though some people use champagne as an umbrella term for all sparkling wines, it is most often associated with sparkling wines that are produced in Champagne. Particular grapes are used to create the sweet beverage, and champagnes produced outside of Champagne often use substitute varieties. The first champagne was created by Benedictine Monks in the Abbey of Saint Hilaire, near Carcassonne, France in 1531. Their sparkling wine was called Blanquette de Limoux. It would be another 100 years before the process for creating champagne was officially recorded by the English scientist named Christopher Merret. He was able to capitalize on his production of champagne because glass bottles were finally able to handle the intense pressures created during the fermentation process. It would be another 200 years before champagne really caught on, however, as other producers began to use Merret's method. By 1850, 20 million bottles were being sold per year. Champagne's popularity grew rapidly because of its emergence at a particular point in history. The nobility of 17th, 18th, and 19th Century Europe were the first people to enjoy champagne on a regular basis. Champagne producers carefully cultivated the image of the beverage so that it was associated with royalty from the beginning of its existence. It was served at important festivities and royal gatherings. Serving it became a way of implying importance within royal circles. It carried that mystique through the centuries, and as the late 19th Century ushered in the beginnings of a strong middle class, having a bottle of champagne in the house became a sign of upward mobility. Suddenly, everyone had to have one. Fast forward to today, and champagne is still viewed as a sign of wealth and status. Celebrities and politicians now take "selfies" clutching the latest popular type of champagne. Champagne producers go out of their way to emphasize the elite quality of their particular champagne in all of their advertising. 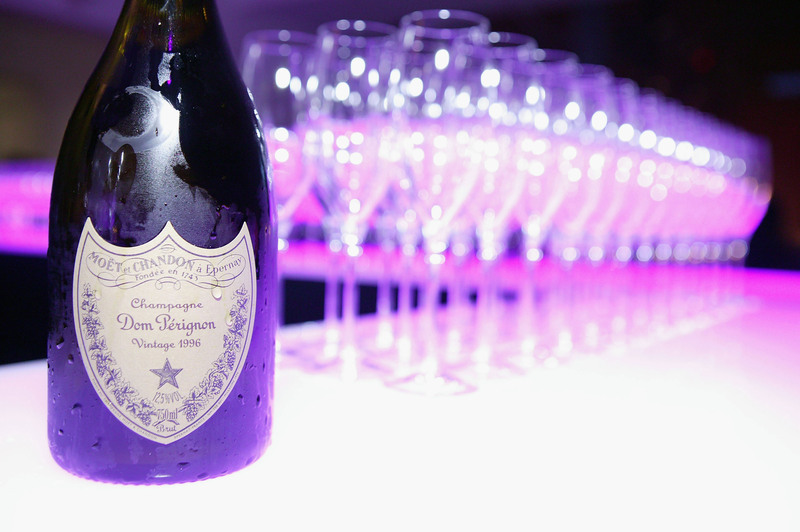 Expensive champagnes make headlines, and 2013's most expensive champagne, was no exception. The Gout de Diamant Brut Diamond Champagne costs a jaw-dropping $1.2 million. The champagne inside the bottle was produced by Chapuy, and is said to have a floral, creamy texture, with a "light and elegant finish". While the beverage, made from a combination of grand cur chardonnay, pinot noir, and pinot meunier grapes may be lovely (Gout de Diamants was chosen as "Best Taste" in 2012 by Champagne Business News), it is actually the bottle itself that is the reason for the hefty price tag. Designed by U.K. luxury designer, Alexander Amosu, the bottle features the Gout de Diamant logo in white gold. Traditionally, a Swarovski crystal has rested within the logo, but for this particular bespoke line, the crystal has been replaced by a single, 19-carat, deep-cut white diamond. The label is also made from 18-carat solid white gold, and the bottle owner's name is engraved in it. Each bottle is crafted by hand. If a handcrafted bottle of wine is not a status symbol, I don't know what is. If you had the option of dropping a million plus on something, would you drop it on a diamond studded bottle of champagne? Let me know. Barbe-Nicole Clicquot was a one-of-a-kind woman. At a time when women were considered men's property, she built a business that endures today and perfected the craft of making champagne. Roger Federer just signed a huge endorsement deal with French champagne maker Moet & Chandon. Thank God, because if there's one guy out there who needs more money, it's Roger Federer.